Kingston-based curator Nicole Smythe-Johnson has been selected for this year’s Tilting Axis curatorial fellowship. Smythe-Johnson is a writer and independent curator, who has written for ARC magazine, Miami Rail, Flash Art, Jamaica Journal and a number of other local and international publications. She is currently Assistant Curator on an upcoming exhibition of the work of Jamaican painter John Dunkley at the Perez Art Museum in Miami. She is also working on an Institute of Jamaica publication looking at Jamaica’s National Collection. The fellowship is in partnership with CCA Glasgow, David Dale Gallery and Studios, Hospitalfield, Mother Tongue and Tilting Axis. Supported by the British Council. 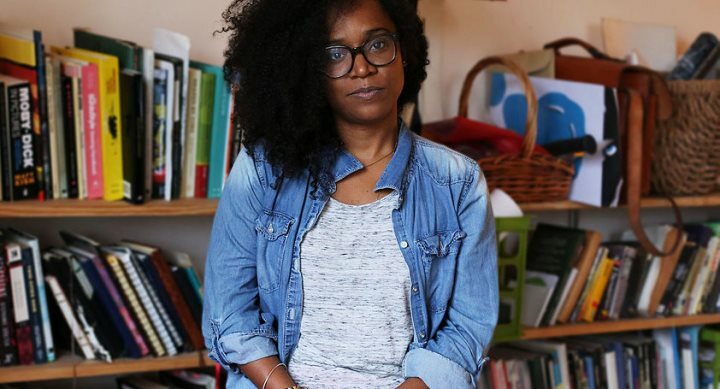 Nicole Smythe-Johnson is a writer and independent curator, living in Kingston, Jamaica. She has written for ARC magazine, Miami Rail, Flash Art, Jamaica Journal and a number of other local and international publications. She is currently Assistant Curator on an upcoming exhibition of the work of Jamaican painter John Dunkley at the Perez Art Museum in Miami. She is also working on an Institute of Jamaica publication looking at Jamaica’s National Collection. The Centre for Contemporary Arts is Glasgow’s hub for the arts. The building is steeped in history and the organisation has played a key role in the cultural life of the city for decades. CCA’s year-round programme includes cutting-edge exhibitions, film, music, literature, spoken word, festivals, Gaelic language events and performance. CCA also provides residencies for artists in the on-site Creative Lab space, as well as working internationally on residencies with Palestine, the Caribbean and Quebec. CCA curates six major exhibitions a year, presenting national and international contemporary artists, and is home to Intermedia Gallery showcasing emerging artists. Dedicated to contemporary art and ideas, Hospitalfield is a place to work, study, learn, visit and enjoy. Hospitalfield is an artist’s house in Arbroath, on the east coast of Scotland, with a captivating cultural and social history that spans many hundreds of years. The contemporary arts programme is anchored in the visual art yet encourages interdisciplinarity, supporting the production of new work and providing space for debate and learning through residencies, a summer school and four public projects with new commissions each year. The organisation maintains strong national and international working partnerships with the aim of making Hospitalfield a meeting place and cultural catalyst in the working lives of artists, students and creative professionals in Scotland and far beyond. Mother Tongue is a research-led, independent curatorial practice formed by Tiffany Boyle and Jessica Carden. Since 2009, they have produced exhibitions, screening programmes, discursive events, essays and texts, working in partnership with galleries, museums, festivals, and publishers. Mother Tongue’s practice in exhibition-making intersects with research interests – including, but not limited to – post-colonialism, language, translation, heritage, identities, indigenousness, migration, and movement. They are currently researching the presence, work and exhibition histories of artists of colour in Scotland, working towards a future ‘AfroScots’ exhibition project. Tilting Axis is a roving project conceptualised by ARC Magazine and the Fresh Milk Art Platform Inc. 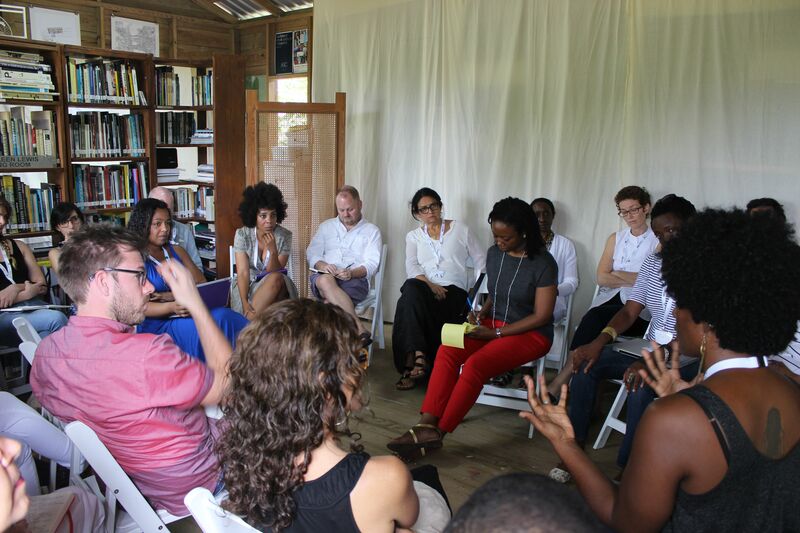 The first iteration was hosted at Fresh Milk in Barbados in February 2015 under the banner Tilting Axis: Within and Beyond the Caribbean | Shifting Models of Sustainability and Connectivity. Tilting Axis 2.0 was hosted by the Pérez Art Museum Miami in February 2016. This meeting explored the current state of cultural work in the Caribbean, and aimed to fortify networks, increase administrative and programming capacities, as well as transfer knowledge and funding opportunities to those working in the region. The Tilting Axis Emerging Curatorial Fellowship developed out of the second iteration and the next edition of the meeting is slated to take place in April 2017, hosted by the National Gallery of the Cayman Islands (NGCI). The British Council is the United Kingdom’s international organisation for cultural relations. The British Council creates international opportunities for the people of the UK and other countries and builds trust between them worldwide. We call this cultural relations. We build trust and understanding for the UK to create a safer and more prosperous world. In terms of our reach and impact, we are the world’s leading cultural relations organisation. Cultural relations is a component of international relations which focuses on developing people-to-people links and complements government-to-people and government-to-government contact. We use English, Arts, and Education and Society – the best of the UK’s great cultural assets – to bring people together and to attract partners to working with the UK. The British Council has over 7,000 staff working in 191 offices in 110 countries and territories. As a direct outcome of the Tilting Axis meetings in 2015 at Fresh Milk in Barbados and in 2016 at the Pérez Art Museum Miami, Scotland based cultural partners CCA Glasgow, David Dale Gallery, Hospitalfield and curatorial collective Mother Tongue have come together to offer structural long-term support to an emerging contemporary art practitioner living and working in the Caribbean. This is a new fellowship opportunity that focuses on the development of pragmatic and critical curatorial development hailing from the Caribbean region, and is research and practice-led, and mentor-based. The fellow will receive a maximum of £5,000 towards travel, accommodation, and living costs. The fellowship is co-developed in partnership with British Council. Designed as a year-long programme between the Caribbean region and Scotland, the fellowship will have an open-ended outcome. It offers support for critical development of curatorial practice and gives a practical base in the partner institutions, connected with the successful candidate’s proposal. We seek proposals that engage with the unique visual culture available in the Caribbean and what might be learned from its unexpected and innovative approaches. The successful candidate will be encouraged to travel throughout the Caribbean in search of such approaches and research. As part of this fellowship a trip to Scotland is essential, offering an opportunity to use the experience with the Scottish based partners as a form of mentorship. In collaboration with the partners, a realistic budget will be proposed, maximising the opportunities. Within the Tilting Axis meetings, complexities of mobility, decolonisation, institutionalism, curatorial knowledge, pragmatics, and social realities have been surfacing as keywords of urgency within Caribbean cultural life. The mentorship element in the fellowship allows for a stable basis from which to draw and use spaces, libraries, individual knowledge, and other infrastructure, both in the Caribbean and Scotland) depending on the nature of the needs in the application. Curators, researchers, artists, or cultural producers based in the Caribbean region who want to make new links within the region as well as in Scotland and have a keen interest in developing their curatorial practice. The Caribbean is an active region. The definition of what is the Caribbean is not uniformed; Wikipedia provides a useful list that includes the islands and the continental countries. Drawing on the specifics of the region through processes of decolonisation, language barriers, race, mobility, and digitalisation, your proposal might approach actively how people live and work and especially how contemporary art takes a responsibility to reflect and act on it. What are fears as well as potentials in these current times? Within such a complex geography, what are the challenges? The fellowship offers a strong supportive framework and takes the model of a mentorship programme. Depending on the candidate’s interests and skills, several personal mentors are available for support throughout the programme. There is open access to infrastructure, curatorial and artistic ideas, exhibition spaces, archives, and libraries as well as personal stories and experiences within these institutions and individuals. Also online, Skype, and email support will be available from the mentors throughout the fellowship. A contribution to the public blogs of British Council and CCA Glasgow will be required along with a final report on the Fellowship and a presentation at Tilting Axis in April 2017 at the National Gallery of the Cayman Islands. Applicants for the fellowship are invited to develop an independent proposal outlining a clear interest in the issues highlighted. The proposal should include a realistic travel itinerary, carefully selected within budget restrictions, and content driven. The application can be based on already existing research or offer new projects. No outcome is expected from the outset, but a proposal that shows organisation of collateral events that allow for public access to the issues is appreciated. Departing from a curatorial ambition, we expect to see strong proposals of maximum 1000 words. Please include a budget proposal (maximum of £5000), a CV and two references. The application should be submitted via e-mail to: jennifer@cca-glasgow.com. Submission deadline: Monday 11 July 2016. Emerging art practitioners are particularly encouraged to apply. The successful candidate will be living and working in the Caribbean region. Remy Jungerman, Spirit Levels, CCA Glasgow 2014, Photography by Alan Dimmick. Aimed at curators, researchers, artists, or cultural producers focused on, or with a clear interest in, curatorial practice from the Caribbean region. Fellowship period: mid 2016 – mid 2017, to be negotiated depending on proposal and personal/professional situations. The Fellow will be assigned a mentor from the core partners depending on their needs and wishes. Throughout the year these mentors are accessible online or on location. A total project budget of £5000 will be allotted for the duration of fellowship. The award shall be used exclusively to cover only the costs of travel, per diems, and other fees and living costs identified in the final budget approved by the selection committee. 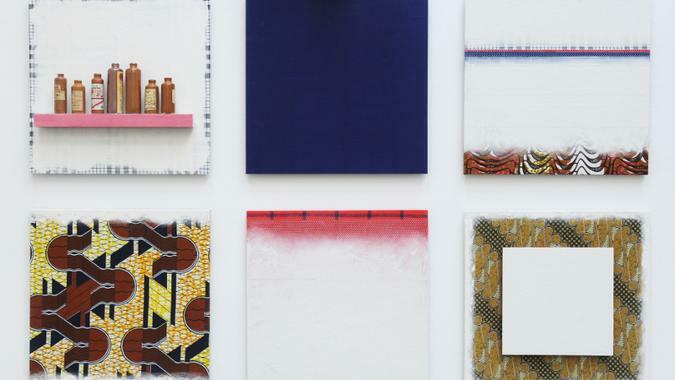 The Fellow will be selected on the basis of a project proposal and a succinct motivation elaborating the candidate’s interest in developing a Caribbean curatorial practice. The deadline for submission will be Monday 11 July 2016. The proposals will be judged by an international jury consisting of curators, academics, and museum professionals, after which shortlisted candidates will be invited for an interview via Skype. In partnership with CCA Glasgow, David Dale Gallery and Studios, Hospitalfield, Mother Tongue and Tilting Axis. Supported by British Council Scotland. Participants of the Tilting Axis 2015 conference. All photographs by Sammy Davis. 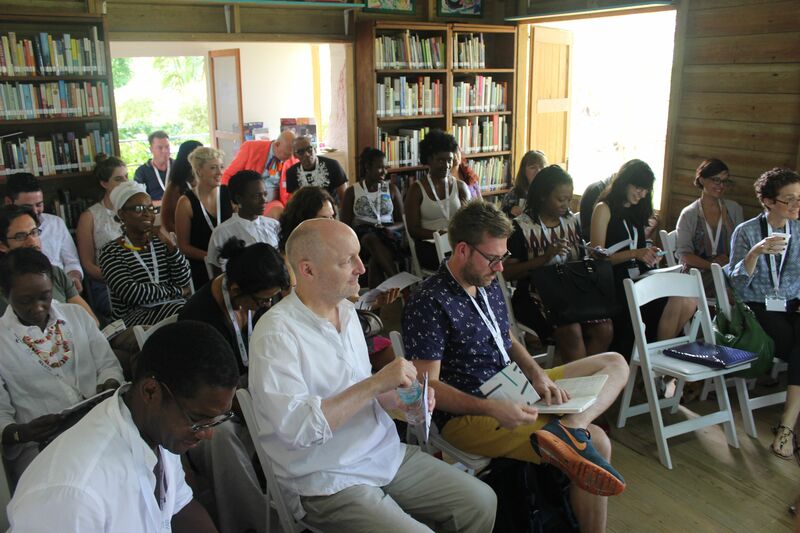 The visual arts conference, ‘Tilting Axis: Within and Beyond the Caribbean – Shifting Models of Sustainability and Connectivity‘, was held in Barbados on February 27-28, 2015 and was dedicated to forging infrastructure between several independent art organisations and museums operating across the Caribbean, U.S., E.U., and China. The conference is a game-changing development for sustainable economic development in regional visual art. The two-day conference brought together the diverse leaders of these visual art development organisations to negotiate strategic regional and international alliances for the formalisation and further development of infrastructure, production and markets for Caribbean art. The conference was organized by The Fresh Milk Art Platform, Inc., where the event was held, in collaboration with ARC Magazine, Res Artis and the Pérez Art Museum Miami. 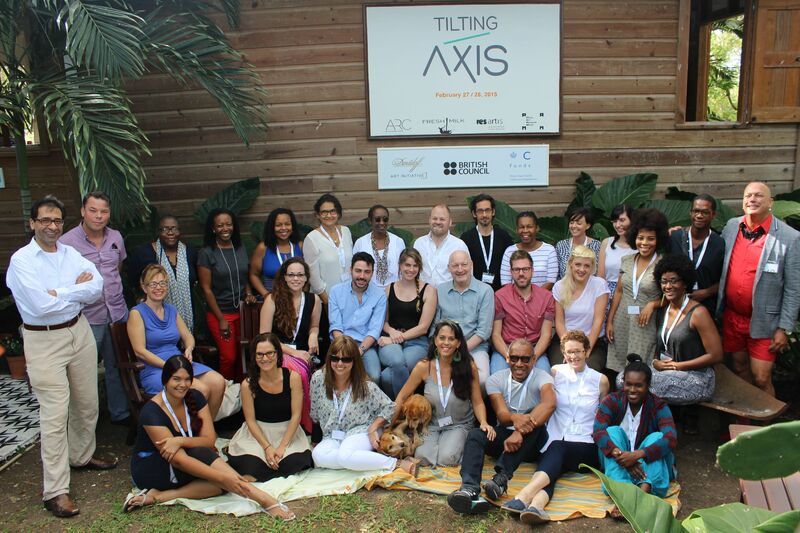 Tilting Axis was supported by the Arts and Sport Promotion Fund Committee (Barbados), the Davidoff Art Initiative, the British Council and the Prince Claus Fund. Among the more than thirty invited participants were Annalee Davis, Founding Director of The Fresh Milk Art Platform (Barbados); Holly Bynoe, Co-founder and Editor-in-chief of ARC Magazine (St. Vincent & the Grenadines); Tobias Ostrander, Chief Curator, and Maria Elena Ortiz, Assistant Curator, of the Pérez Art Museum Miami (USA); Mario A. Caro, President of Res Artis (Amsterdam); David Codling, Director Arts, Americas, British Council (Colombia); Natalie Urquhart, Director of the National Gallery of the Cayman Islands; Amanda Coulson, Director of art fair VOLTA NY and Director of the National Art Gallery of the Bahamas; Deborah Anzinger, Artist and Director of Kingston-based visual art initiative NLS (Jamaica); Nicholas Laughlin, Co-founder of Trinidad and Tobago-based backyard space, Alice Yard; David Bade and Tirzo Martha, Co-directors of Instituto Buena Bista (Curaçao); Elvis López, Director of Ateliers ‘89 (Aruba); Remco De Blaaij, Curator at the Centre for Contemporary Art (Glasgow); Max Slaven and Ellie Royle, Co-Directors of the David Dale Gallery & Studios (Glasgow); Jessica Carden, Co-founder of Mother Tongue (Glasgow); Solange Farkas, Director of Videobrasil (Brazil); N’Goné Fall, Independent Curator and Co-Founder of GawLab (Senegal); Raquel Paiewonsky, Co-founder of the artist collective Quintapata (Dominican Republic); Kira Simon-Kennedy, Co-founder China Residencies (USA/China); Malaika Brooks-Smith Lowe, Co-founder and Director of Groundation Grenada, Marsha Pearce, Senior Editor of ARC Magazine (Trinidad); Caryl* Ivrisse Crochemar, Director of 14°N 61°W (Martinique). And from Barbados participants included Janice Whittle, curator of Queens Park Gallery and representative of the National Cultural Foundation; Therese Hadchity, Art Historian; Joscelyn Gardner, Artist; Llanor Alleyne, Artist and Writer; Katherine Kennedy, Artist and Directors’ Assistant at ARC and Fresh Milk; Versia Harris, Artist and Fresh Milk volunteer; Sammy Davis, Fresh Milk volunteer and Tonika Sealy, Independent Cultural Producer. L-R: Mario A. Caro (President of Res Artis), Annalee Davis (Founding Director of Fresh Milk), Tobias Ostrander (Chief Curator at the Pérez Art Museum Miami) and Holly Bynoe (Co-founder & Editor-in-chief of ARC Magazine). 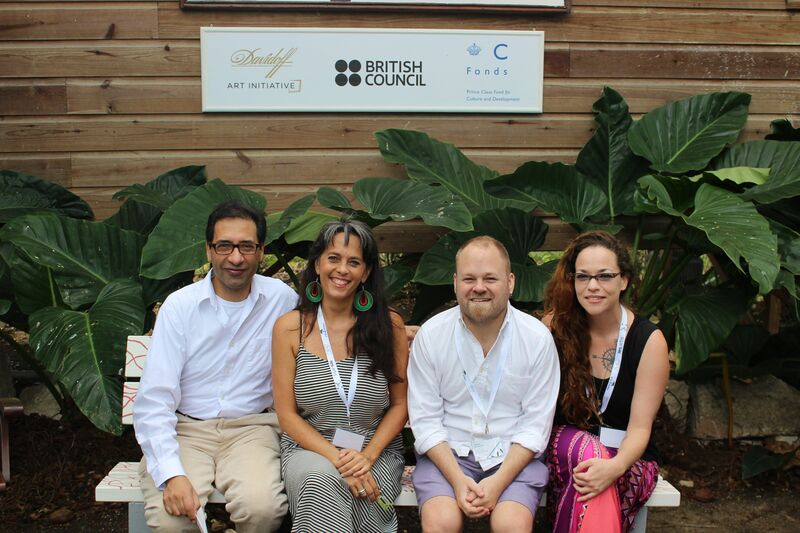 According to co-organisers Holly Bynoe and Annalee Davis, the conference seeks to create opportunities for visual artists living in the Caribbean and provide professional and economic development in the region through formal collaborations between key art organisations and foundations across the Caribbean and beyond. The conference also aims to build and redefine relationships around cultural exchange between the Global North and the Global South. “It is not just about contemporary art. One of the tasks we have undertaken at the Pérez Art Museum Miami is the building of Caribbean art histories in the consciousness of the American public. We see the Pérez Art Museum as strategically placed to undertake this,” stated Tobias Ostrander. From the conference, a strategic action plan for continued collaboration was developed after a reflection on the two-day discussion. “In creating markets for contemporary art in the Caribbean, we are developing the ecosystem and all the underlying components that drive that market: The environment for artists to make great work; art writers, researchers and funders to help make that work accessible to the public; international museums and galleries to show the work; advisors and dealers to get the work placed in collections. Shared programming, exchanges, and educational initiatives developed between the institutions present addressed these key components,” stated Deborah Anzinger. One of the mandates issued to the participants of the Tilting Axis conference is to tighten strategic networks in their home countries. The organisers of the conference also expect to expand the invited participant list for the next meeting which will take place in 2016.